Convenience and comfort are the name of the game at Desert Rose Resort, where you'll find all the services you need while staying right next to McCarran International Airport and a few minutes from the Las Vegas Strip. Desert Rose Resort offers 280+ apartment-size suites, each with fully equipped kitchens and full-size appliances, television,phones with data ports, a balcony. Guests have access to a fitness center, outdoor pool and spa, and complimentary wireless Internet. Guest services include on-site laundry services and free parking. 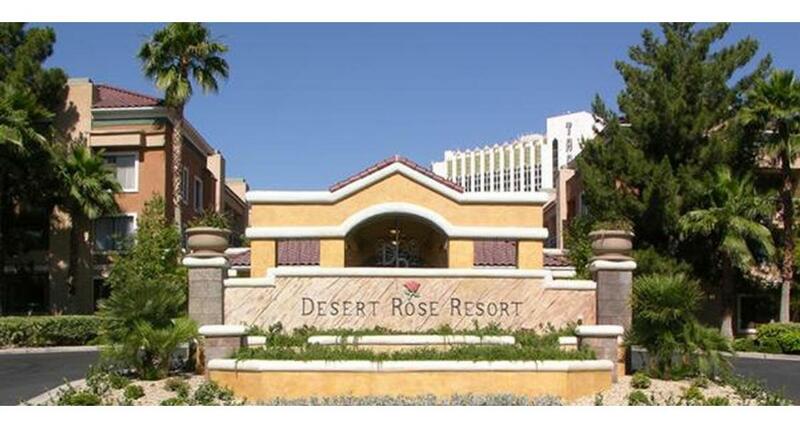 For the business traveler, Desert Rose offers fax and copier service, plus conference suites and a banquet facility. The world's greatest night out is available just up the road, where you'll find hundreds of restaurants, nightclubs, shows and casinos around Las Vegas.